Notification with the passing of Northwest/Delta pilot Captain Robert Joseph Amend, age 57. Captain Amend joined Northwest Airlines 08-19-1988 and most recently had been flying for Delta Air Lines. He is survived by his wife Robin and their children plus many other friends and family members. Services have taken place in Pennsylvania....please see obituary below for details. 6695 Sheller Rd., Chambersburg, PA 17202. Robert "Bob" Amend, 57 finished his courageous battle with ALS on Wednesday, June 28, 2017. He took his last earthly breath at home, surrounded by his family, and took his next breath in the presence of his Savior, whom he loved. Born December 18, 1959 in Winston-Salem, NC, he was the son of Robert and Cynthia (Elmer) Amend of New Smyrna Beach, FL. He was a 1977 graduate of Lake Howell High School and a 1981 graduate of the U.S. Naval Academy. Following flight school, he served for seven years as a Naval Aviator. Upon separation from the Navy, he was employed as a pilot for Northwest and then Delta Airlines, where he held the position of captain. He and his wife, Robin (Monn) Amend, were married March 7, 1987. They have lived at their present residence since 2004. 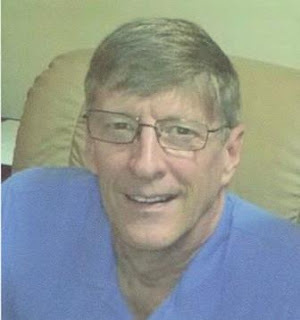 Bob was a member of the South Mountain Bible Church for many years, where he served as elder, worship leader, and president of the corporation. Most recently, he was a member of Chambersburg Alliance Church. His hobbies included hunting, fishing, and restoring British sports cars, but his interest in those things couldn't compare with his love for his family and friends. In addition to his wife and parents, he is survived by three daughters, Liana Mosior and husband, Benjamin of Pittsburgh, Rachel, and Michaela, both of Chambersburg; one son, Nathaniel of Chambersburg; one sister, Laura Peugh and husband, William of Provo, UT; two brothers, Michael and wife, Diana of Oviedo, FL and Stephen of Orlando, FL; and numerous aunts; uncles; nieces; nephews; and cousins. Services will be held at 11 AM, Thursday, July 6, 2017 in Antrim Brethren in Christ Church, 24 Kauffman Road East, Chambersburg. Burial will follow in Brown's Mill Cemetery, Kauffman Station, with military graveside honors conducted by the Honor Guard of Charles Nitterhouse VFW Post #1599, Chambersburg. The family will receive friends from 5 to 8 PM, Wednesday, July 5, 2017 in Grove-Bowersox Funeral Home, 50 S. Broad St., Waynesboro.